I hope that whoever designed that made sure that it’s not only slow, but leaves a trail of fluorescent slime. 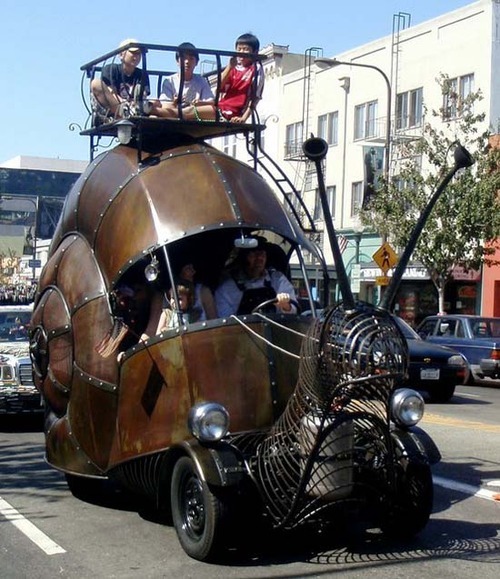 This entry was posted on Thursday, 7 March 2013 at 12:05 AM and is filed under Automotive, Babe Magnet, Bizarre, Cool, Humor, LOL Things, Odd, Snails & Slugs, Stupid, Traffic. You can follow any responses to this entry through the RSS 2.0 feed. You can leave a response, or trackback from your own site. Well, lookit that ESS car go! kdub– I was too ashamed to say it.